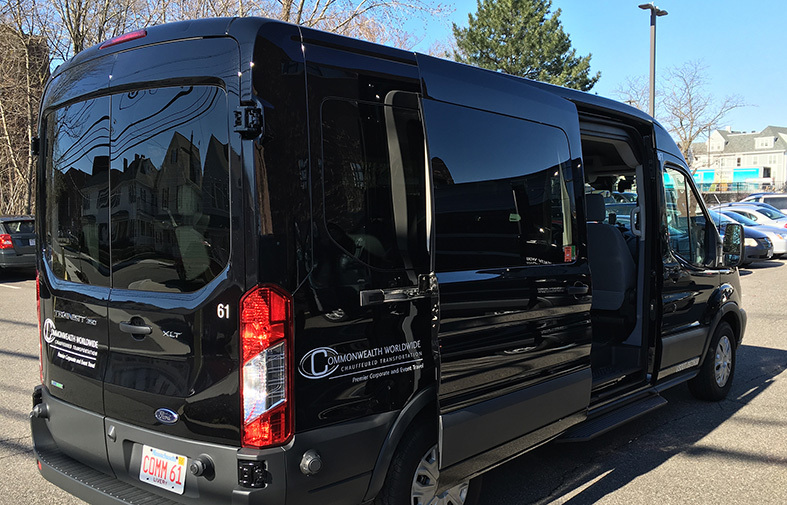 The new Ford Transits are the latest upgrade for Ford Passenger Vans. 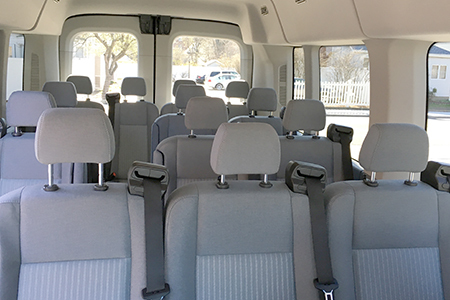 Comfortably accommodating up to 14 adults, with spacious headroom, the Transit features lots of power thanks to a 3.7L Ti-VCT V6. This van is a versitile, dependable ride. Thirteen 13 passengers very comfortably. Can accommodate a 14th person in front passenger seat. The Transit Van does not include room for luggage at full passenger capacity. The rear row of seats is removable should space for luggage be needed, resulting in lower passenger capacity. Ask us about specific needs to suit your purpose.